During May 2018, England had replaced India as the number one ODI team in the ICC rankings. Ten months later, the Men in Blue have a golden opportunity to regain the numero uno spot in the 50-over format. When they had begun the recently completed ODI series against West Indies in the Caribbean, England were odds-on favourites to exert their dominance in a format that they were at home all over the world. However, the demoralising Test series defeat, as well as spicier pitches in the Caribbean, meant that West Indies managed to hold England to a commendable 2-2 draw in the ODI series. 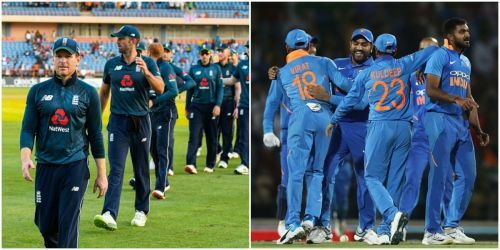 According to the ICC's official rankings predictor, England's defeats in two ODIs in the Caribbean have given a chance to India to usurp the number one ranking. As of 7th March 2019, both England and India have 123 rating points. But Eoin Morgan's team continue to hold on to their top spot on the basis of decimal points. 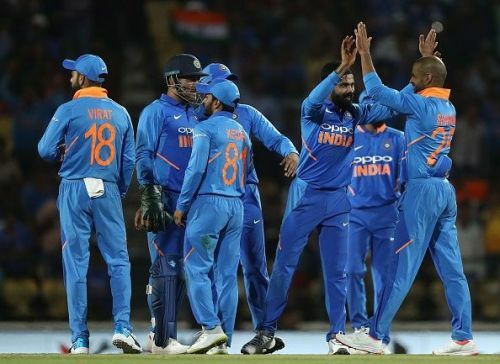 Having taken a 2-0 lead in the ongoing 5-match ODI series at home against Australia, the current second-ranked Indian team can surge to the top of the table and replace England as the number one ODI side if they manage to win all three remaining matches in the series. If India win the ODI series against Australia 5-0, they will move to 124 rating points and become the top-ranked team in the 50-over format too. Currently, they are ranked number one in Test cricket as well. However, if they even lose one ODI to the Aussies, India will continue to remain at number two and England will retain their top rank on the basis of decimal points. In such a scenario, both teams will possess 123 rating points. A 3-2 series win for India will see them drop two rating points and settle for the second spot. A 3-2 series win for Australia will see India slip to 120 rating points and trail table-toppers England by three points. Meanwhile, a 5-0 series win for South Africa against Sri Lanka will enable the Proteas to reach 112 rating points and displace New Zealand at the third spot on the basis of decimal points.